WHICH OF THE METALLICS LOOK BEST ON YOU? One way to determine if you have cool or warm undertones: do you look better (not like) in silver or gold jewelry? 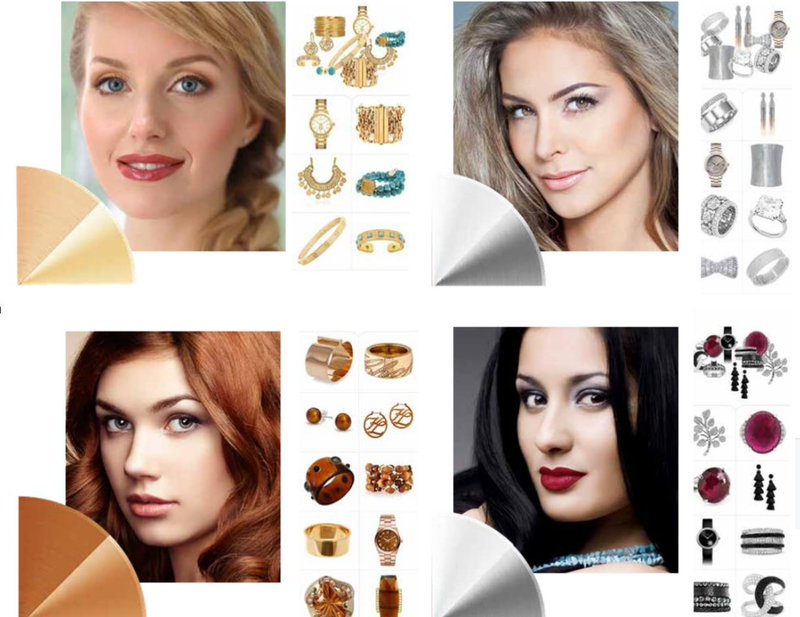 Usually, women with cool undertones look better in silver and platinum, whereas it’s gold for warm-toned gals. SPRING (light and warm) is radiant in all gold tones. We particularly love Springs in the gold and turquoise combination. Think colorful, warm and bright for our golden girls. AUTUMNS (deep and warm) are bronze beauties, born for rose gold and copper tones. Amber in gold is drop dead gorgeous on Autumns, as is topaz, peridot, and citrine. SUMMER (light and cool) are our ice princesses. For a summer, platinum, white gold, silver and diamonds are a girl’s best friend. WINTER (cool and deep) is most contrasting of any of the four seasons, So they radiate in bold jewelry. Think platinum, white gold, and silver accented with all jewel tones, particularly rubies, emeralds, sapphires and black diamonds.